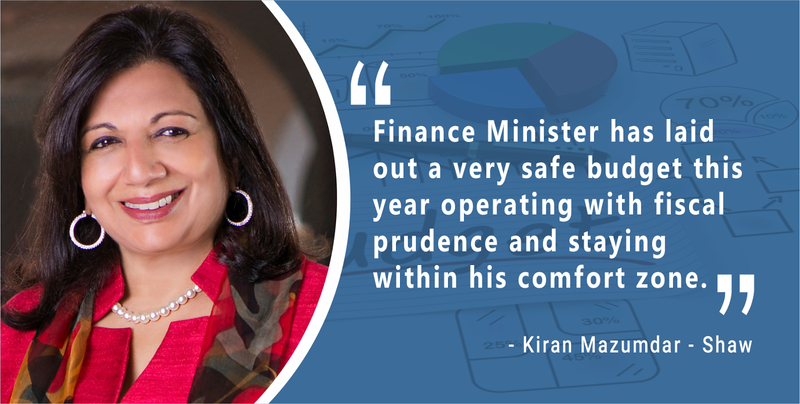 Finance Minister Arun Jaitley has presented a Budget that boasts of several firsts. It is the first time that the railway and general budgets have been merged and planned and non-planned expenditure classification done away with. 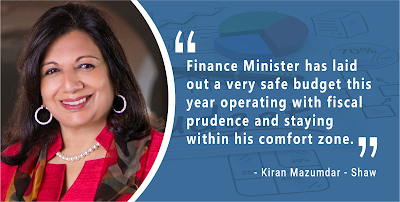 I believe the Finance Minister has laid out a very safe budget this year operating with fiscal prudence and staying within his comfort zone. As a result, he has missed out on introducing bold measures that could have spurred non-linear economic growth in the wake of the slowdown on account of demonetisation. The Budget has a good number of positive measures aimed at offering incentives to different stakeholders, boosting domestic spending and cleansing the country of black money. Budget 2017, presented across 10 key levers, aims to ‘Transform, Energise and Clean’ India. The idea of a clean India has been doing the rounds for quite some time and this year’s Budget has widened the ambit of ‘Swachh Bharat’ from sanitation to cleaning up the financial and political systems. The finance minister has proposed the idea of ‘Transform, Energise and Clean’ India, to energise various sections of the society, especially the vulnerable, in order to unleash their true potential. This is an idea, which, if implemented properly, could yield great dividends for India in the long run. Rs 15,000 crores to Rs 23,000 crores with a target to complete 1 crore affordable homes by 2019. It also sets a target of 1st May 2018 for achieving 100% rural electrification. To give people in the rural India access to the Internet, the Budget talks of providing high speed broadband connectivity on optical fibre in more than 150,000 gram panchayats by the end of the next fiscal which will ensure better digital literacy. The Innovation Fund for Secondary Education to be introduced in educationally backward districts will encourage local innovation, ensure universal access, gender parity and improvement in the quality of education & skill development in rural India. The sanitation coverage in rural India has increased to 60% and in order to improve this further the Budget has proposed incentives for ‘open defecation’ free villages. He has proposed to provide safe drinking water to over 28,000 arsenic and fluoride affected habitations in the next four years as part of a sub mission of the National Rural Drinking Water Programme (NRDWP). Mr. Jaitley’s Budget has sought to strengthen the digital payments model to generate long-term benefits in terms of reduced corruption and greater formalisation of the economy. The Budget tries to encourage a "less-cash" society by capping cash transactions at Rs 3 lakh. It announced the launch of Aadhar Pay, a merchant version of Aadhar Enabled Payment System. Moreover, card readers, finger print readers and iris scanners can now benefit from excise and duty exemptions. However, this will need a bigger push on the digital infrastructure front in order to be inclusive. With an eye on bringing more accountability and transparency in political funding, the finance minister has announced a few measures, which are a welcome development. The innovative concept of electoral bonds proposed by the FM has the potential to change the way political funding is done in our country. The reporting of all donations above Rs 2000 in cash will spur better governance by political parties. Overall, with this budget, Arun Jaitley has tried to make an attempt at cleansing the nation of black money by bringing in more transparency and accountability with a view to make India an inclusive and equitable society.